Lions, tigers, and leopards tend to get most of the attention when it comes to the world of wild cats, and for good reason. These big cats are pretty amazing—but they’re not the only ones who should steal all the limelight. Why’s that, you ask? Well, it’s because there are some other unique wild cats out there that are just as deserving of our adoration—and it’s about time they were recognized for it. 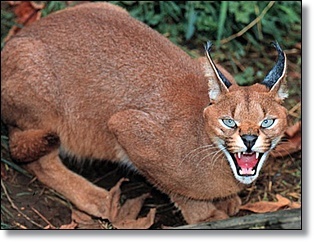 Ladies and gentlemen, meet the caracal. Not only does this russet-hued wonder have a fascinating history, but it’s also absolutely stunning to behold! 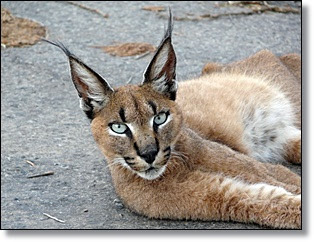 This magical creature is called a caracal, and even if you’re a huge fan of animals, chances are you’ve never seen one before. Look at those crazy ears! Can you honestly say that you wouldn’t remember seeing a kitty as cool as this one? 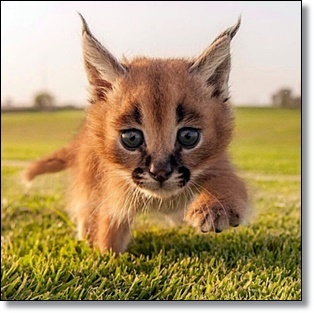 While caracals are technically considered to be “small cats” in the animal kingdom, that kind of classification depends on your definition of “big” versus “small.” The truth is that they’re actually quite large, weighing up to nearly 50 pounds in some cases! 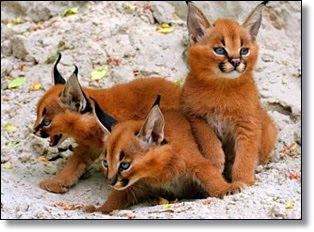 Caracals’ coats can range from pale beige to bright red depending on their region of origin. 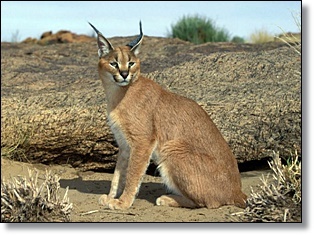 For example, if a caracal lives in a place that is covered in yellowish sand, it’s more likely to boast a yellow coat. That is evolution at work! 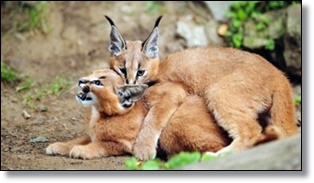 Caracals are usually solitary animals, but they can sometimes be found in mated pairs. With their short tails and tufted ears, the caracal resembles a desert lynx or a bobcat if you’re looking to make comparisons to other wild cat species. 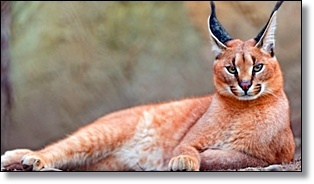 Caracals can easily climb trees, but that’s not the only place in Mother Nature’s domain that they might take refuge. These curious creatures also dig burrows where they raise their kittens until they’re able to venture out on their own. 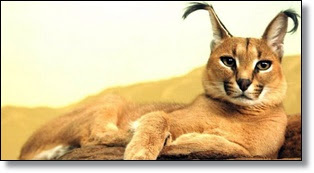 Caracals actually have a fairly good rapport with humans and are sometimes kept as pets in areas of the United States where exotic animal laws allow it. 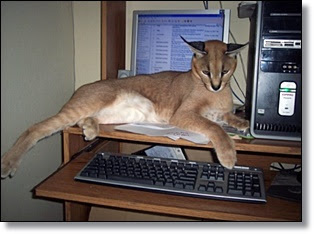 Can you imagine shooing a cat this size away from your computer? Their name is derived from the Turkish word karakulak, which means “black ears”—and you can see how fitting that is. While everything about this cat is beautiful in its own way, those striking black ears are definitely its trademark. Caracals can survive with very little water. In fact, they get most of their water from their prey! (Thanks again, evolution!) Because these animals have limited access to fresh water most of the time, they have been biologically designed to thrive without it. 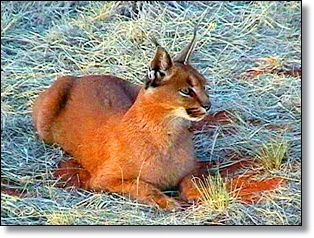 Caracals typically consume rabbits and rodents, but like most cats, they have a real taste for birds. The fact that they can climb up trees and grab one as a snack means they can enjoy one of their favorite treats whenever the mood strikes them. 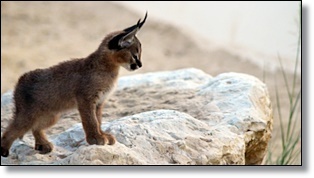 Just like your own house cat, caracals are diurnal animals, meaning they are most active at dawn and at dusk. You know how your cat can get a case of the “midnight crazies” on certain occasions? That’s their diurnal nature at work! In ancient Iran and India, caracals were used as trained hunting animals. 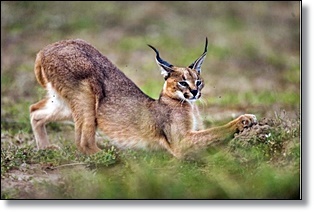 If you were to come across one posed in an aggressive position like this particular caracal, you can easily understand why they might have been put to work on such a task. As exceptionally high jumpers, they were especially useful when it came to hunting birds. 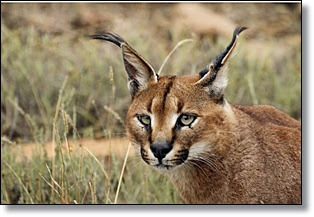 While other cats might bat at birds and hope to bring them down, the caracal can usually jump up and pluck them from the sky. Their babies, while not the best hunters, are also adorable. Some day these kittens will grow up to become fearsome hunters just like their parents, but for now, their full-time job is simply being fuzzy and cute! They seem to be nailing that requirement, huh? 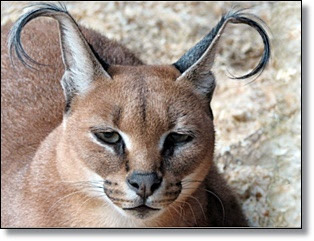 Human teenagers might go through an awkward phase, but for a growing caracal, there is simply no such thing. They just go from teeny, tiny wild cats to slightly larger ones! It’s almost as if they have to grow into their ears, too. Just look at this guy! Can you see the appeal? 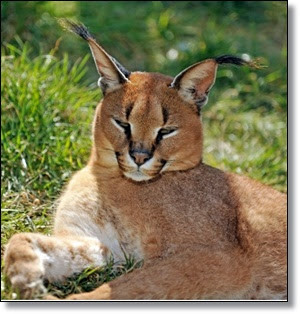 Their unique look is exactly why someone might think it’s a good idea to own a pet caracal if they ever got the chance. Those expressive brows are just too much! While they might be big cats, at heart they are just like house cats. 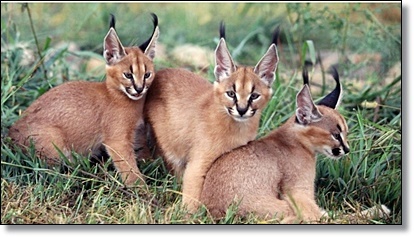 Like the rest of the small cats out there, caracals may purr when content. They make a variety of other mews, growls, and hisses to express their moods, too. 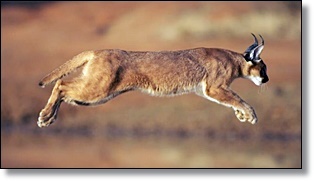 The caracal is a fast animal, too! They can move at a speed of 50 miles per hour, and sometimes more. They can outrun animals such as antelopes and ostriches, which might explain how they manage to hunt down prey larger than they are. 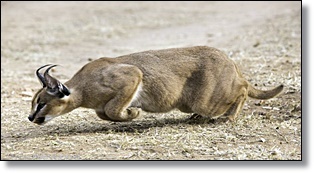 Don’t worry: even if the caracal can’t finish an entire ostrich, it doesn’t let anything go to waste. Just like leopards, caracals sometimes store their leftovers in the trees and bushes for the ultimate midnight snack. 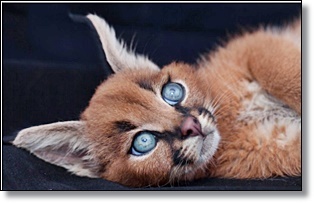 Now that you’ve been introduced to the caracal cats, you’ll probably want to do a little bit more research on them for yourself. Just look at those faces and try to resist them. It can’t be done! These guys are just so adorable, it’s impossible not to love them! 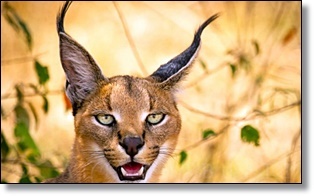 Can you believe that you went this long without even knowing this wild cat existed?